Financial Peace University (FPU) is a nine-lesson course designed to help you build a budget, dump debt, grow your wealth, and leave money stress behind! Each lesson, taught by Dave Ramsey and his team of financial experts, is based on biblical wisdom and common sense. In your FPU group, you’ll be motivated and encouraged by others just like you! When you sign up for FPU, you’ll get your member workbook and one free year of Financial Peace Membership, with access to exclusive online tools to help you on your journey. Yes. I want to learn to create wealth for my family. Please sign me up. and please note how you heard about the class. 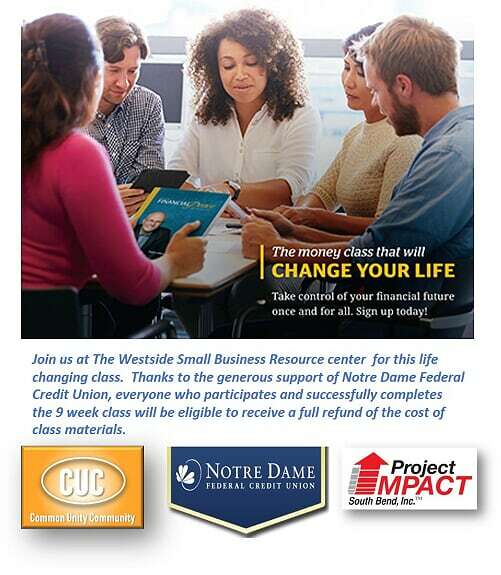 And, thanks to our friends at Notre Dame Federal Credit Union, your participation in this class is pretty much FREE* . *The cost of programs materials will be reimbursed. All you pay is shipping and handling.